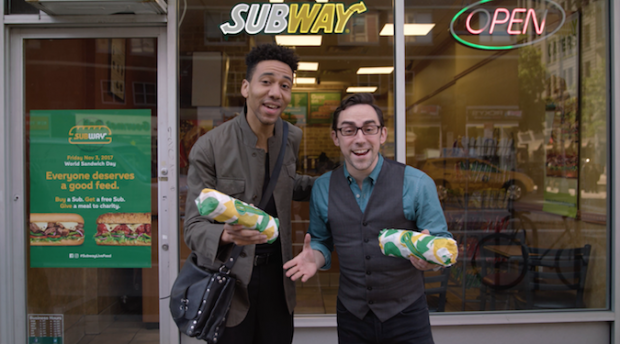 Here’s how Subway leveraged World Sandwich Day hype to boost sales and help out the hungry. 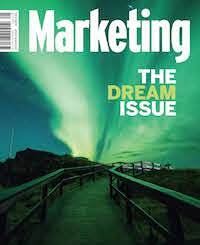 This article originally appeared in The Dream Issue, our October/November print edition of Marketing magazine. Subway is the biggest and most well-known sandwich brand in the world. Despite this, Subway Australia operates in a hugely crowded and competitive marketplace and fights against direct competitor giants like McDonald’s, KFC and Hungry Jacks, and a secondary set of restaurant brands such as Nando’s and Oporto, plus a vast indirect competitor set that spans everything from food hall fresh offerings to local cafés and petrol stations. In 2017, Subway globally identified that there was one day of the year that was pretty special to it – World Sandwich Day – and it wanted to make it special for its guests too. To truly celebrate the power of the sandwich, Subway wanted to use them for good – to feed the hungry. How it did that was up for grabs with all of Subway’s agencies globally briefed and competing for the project. 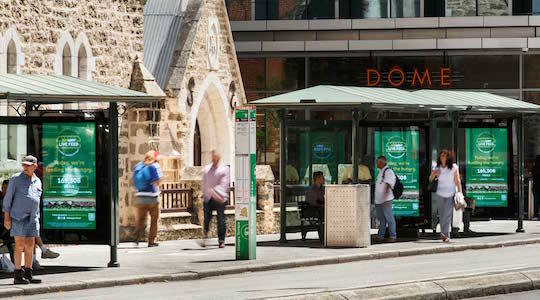 The winning agency and idea was awarded to J Walter Thompson Sydney, Subway’s agency of record in Australia and New Zealand. The objective was to get people talking about and craving a Subway sub on World Sandwich Day. Category: Good food is needed by everyone, but is not always within everyone’s reach (even in developed nations) with one in nine people around the world going hungry every day, according to the World Health Organisation. Cultural: Conscious consumption is on the rise and brands are expected to live, not just talk, their purpose. Social: ‘Clicktivism’, the use of digital media to activate and support social change, is now mainstream. These observations were identified as valuable because they resonated with Subway’s brand purpose: ‘Everyone deserves access to quality food’. Thus we knew that an idea that combined societal and social rewards would likely be highly motivating and fit with the brand. Importantly, we learned from clicktivism that we could leverage ‘follower’ behaviour to our advantage. If people could see others like themselves taking part, they would be more likely to take part as well. This was the key strategic imperative – the idea needed to do more than tell people about a promotion, it needed to feel like a movement to feed the hungry. A twist on a BOGOF – BOGOFGO: ‘buy one, get one free, give one’. For every sub purchased, guests would get one free and Subway would give a meal to the hungry (via a range of charities by country, Food Bank in Australia, for example). The offer began as the clock struck midnight on 3 November. As a truly global campaign, we started at the first country with a Subway restaurant to hit 3 November, which happened to be New Zealand. As each country ticked into World Sandwich Day, restaurants joined in until we had circumnavigated the globe. Thus, the campaign ended in Hawaii around 36 hours later. A live feed: each sale was captured in real time via data scraping and added to the live feed (which was promoted through media) – giving people a clear tally of the good they were doing as the day wore on, and building a movement in real time as each country awoke to World Sandwich Day. A global website tracked purchases by country in real time and tallied up the meals given to the hungry. A sophisticated network of media channels (in-store, social, digital and digital OOH) was updated every time a sub was sold, giving people the sense that something exciting was happening. We also created Subway’s first Snapchat filter to celebrate the day and drive engagement by allowing people to turn themselves into a sub sandwich. Subway Live Feed spoke to the hearts and wallets of people in Australia and around the world. In just one day, sales in New Zealand increased by 80%, Australian sales increased by 28% and, most importantly, we made a difference in the fight against hunger, donating over 13 million meals worldwide. News outlets and influencers picked up the campaign, celebrating Subway as a brand ‘fighting hunger’ and encouraging Australia and New Zealand to do their part, with a reach of over 8.3 million impressions. Social buzz about the brand was higher on World Sandwich Day than any other day as people took to our owned social channels to express excitement and post themselves participating in the Live Feed.